Kitesurfing, a sport that every active person can learn nowadays. 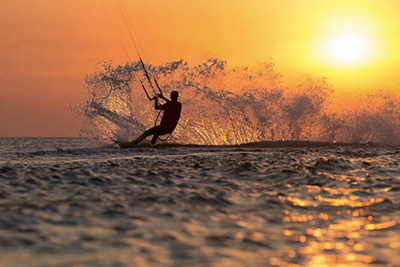 Nobody is too young or old to learn this action-packed sport, also called kiteboarding. The assumption that you need strength and well-trained muscles to learn kitesurfing is also a mistake. 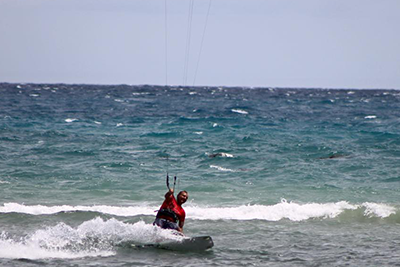 Since the kites have become much safer in recent years, kitesurfing is accessible and easy to learn for everyone. If you already are experienced in Kiteboarding, you can rent full gear from our shop. 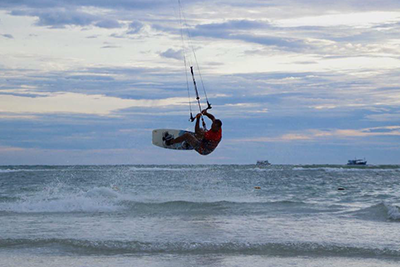 Moreover, we are the only kitesurf school on Koh Tao. We need to let you know that Koh Tao is not the optimal place to practice kitesurfing because of low wind conditions. Usually, we can practice couple of days per month, all year, but this is really variable. We suggest you to come by our shop when you arrive on the island to see if we can plan some lessons during your stay. From May to October, the wind comes from the West side of Koh Tao, which means that you will start in directly on Sairee beach. From November to April, the wind comes from the East side of Koh Tao, which means that if you want to do kitesurf, you have to do a drop off. Evasion Koh Tao is a sports agency which is specializes in many different outdoor activities. 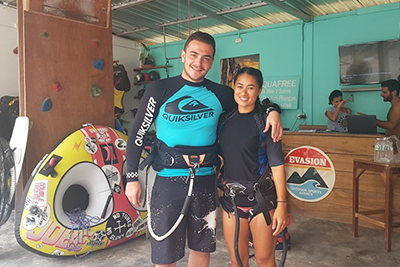 Whether sliding on the water or climbing on top of a hill, our English or French guides will be glad to help you push your limits and make you discover this wonderful island of Koh Tao.